The panel loading main compartment utilizes every cubic inch with multiple interior pockets, padded laptop sleeve, hydration carry, and MOLLE loop field. Accessing the inside main compartment via the quad-zip means finding gear from the bottom of the pack doesn't require unpacking everything on top of it. 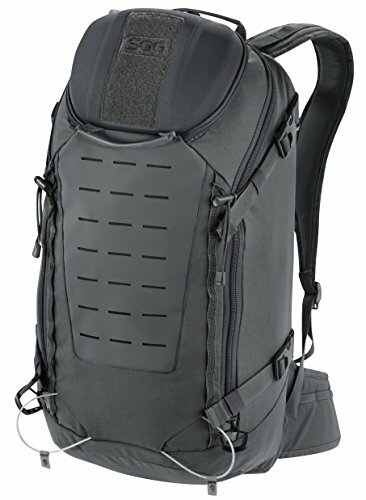 Any extra or bulky gear can be cinched on to the pack's side compression straps, attached to the hyperon MOLLE field, or held on by the scout's unique wire long item carry. The top molded panel allows quick access to smaller items due to the suspension, a fully loaded pack can be carried comfortably whether going for two miles or twenty miles.